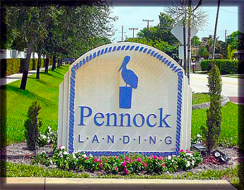 Pennock Landing Jupiter homes is a newly built community of single family homes right off of Indiantown Road. This true neighborhood is quaint and only has 35 homes. Homes are 3-4 bedrooms with 2 car garages with large backyards and covered and screened loggias. Sidewalks line the streets making it safe to walk your dogs and for children to play. Pennock Landing Jupiter homes for sale can be reached from Indiantown Road to Pennock Road to Pottowatomie left to Pennock Landing. The homeowners association (HOA) takes care of cable and all common area. Another benefit to living here are the hard to find “A” rated schools that Jupiter is noted for. Within a few minutes are multiple beaches, golf courses, I95 and the Florida turnpike. 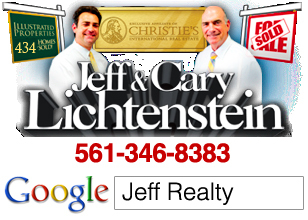 Real estate in Jupiter Florida is some of the most desirable in the country. Palm Beach County is just below the freezing line giving it some of the best year round weather in the United States. Besides golf and tennis, fishing and boating take place on the Intracoastal or through the Jupiter Inlet to the Atlantic Ocean. The beaches are sandy and pristine. Surfing in the winter and snorkeling in the summer are what Coral Cove in Jupiter Island is noted for. Laying out, volleyball, kayaking, parasailing and fun in the waves takes place in the Jupiter and Juno Beach area. The famous Juno Beach pier is also known for is incredible fishing. Posted in Jupiter homes, Uncategorized on September 29, 2011 at 2:36 am.